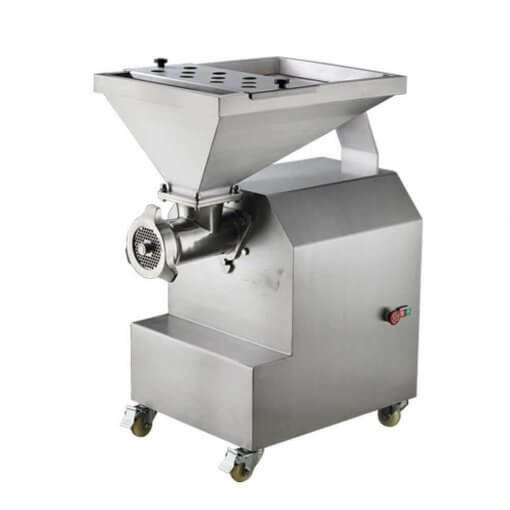 The meat grinder is a granular meat filling in which the meat processing enterprises process the raw meat according to different processing requirements in the production process. 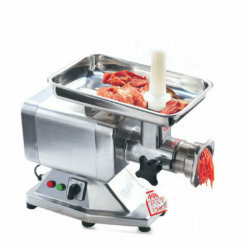 It is widely used in various sausages, ham sausages, lunch meat, meatballs, salty flavors, pet foods. And other meat products and other industries. 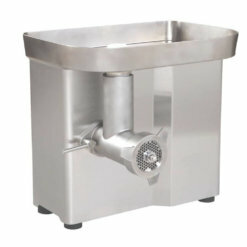 Made of high quality 304 stainless steel, it has no pollution to processed materials and meets food hygiene standards. The tool is specially heat treated, with excellent wear resistance and long service life. 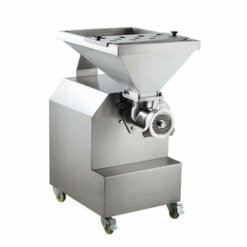 The machine is easy to operate, easy to disassemble and assemble, easy to clean, and has a wide range of processed products. After processing the materials, it can maintain its original nutrients well and has a good preservation effect. 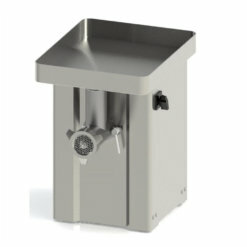 The tool can be adjusted or replaced at will according to the actual use requirements. 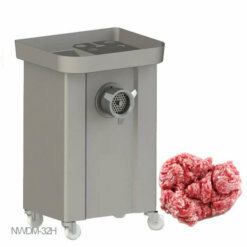 All kinds of frozen meat, fresh meat, chicken skeleton, duck skeleton, pig skin, cowhide, chicken skin, fish, fruits, vegetables, etc. 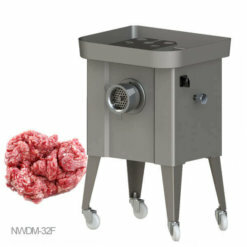 The part of the meat grinder chassis does not need to be maintained under normal conditions, mainly waterproof and protect the power cord, avoid damage to the power cord and clean it. 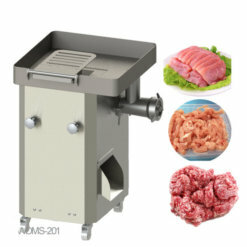 Routine maintenance of ground meat parts: After each use, the ground meat tee, screw, blade orifice plate, etc. should be removed, and the residue should be removed and then replaced in the original order. 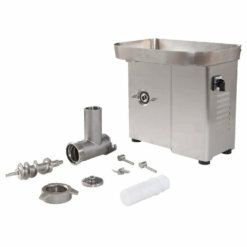 The purpose of this is to ensure the hygiene of the machine and the processed food on the one hand, and to ensure that the ground meat parts are flexible and easy to repair and replace, and the blade and the orifice plate are wearing parts, which may need to be replaced after a period of use.